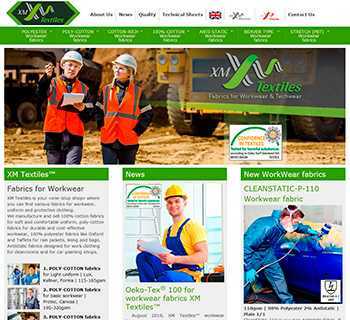 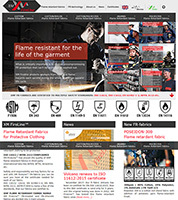 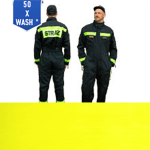 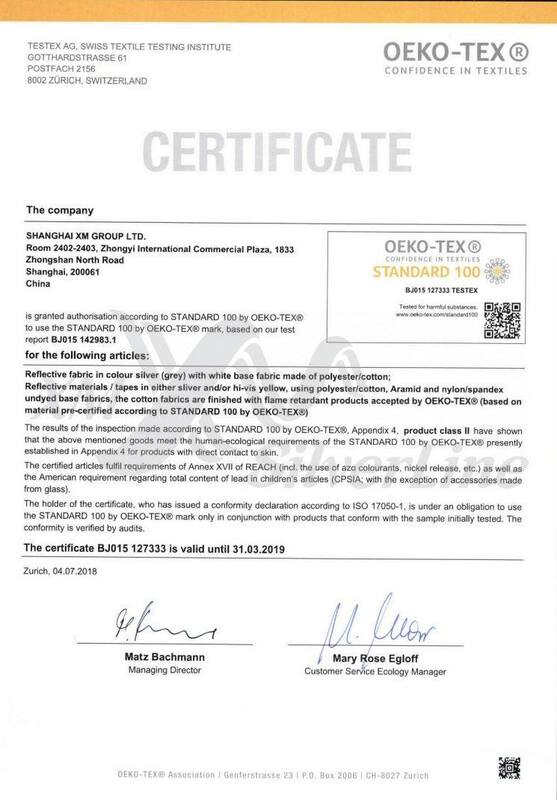 Silver and/or Hi-Vis Yellow, using Polyester/Cotton, Aramid and Nylon/Spandex undyed base fabrics, the Cotton fabrics are finished with flame retardant fabrics have been certified to Oeko-Tex STANDARD 100 (Class II Safety) in Testex AG (Swiss Textile Testing Institue). 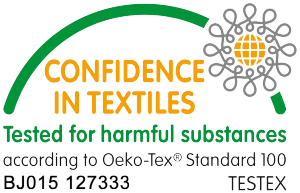 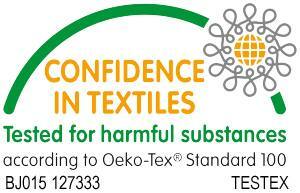 Oeko-tex certificate was developed in 1992 and soon became a quality label witnessing that no harmful substance been used in a fabric, accessories or in a ready made garment. 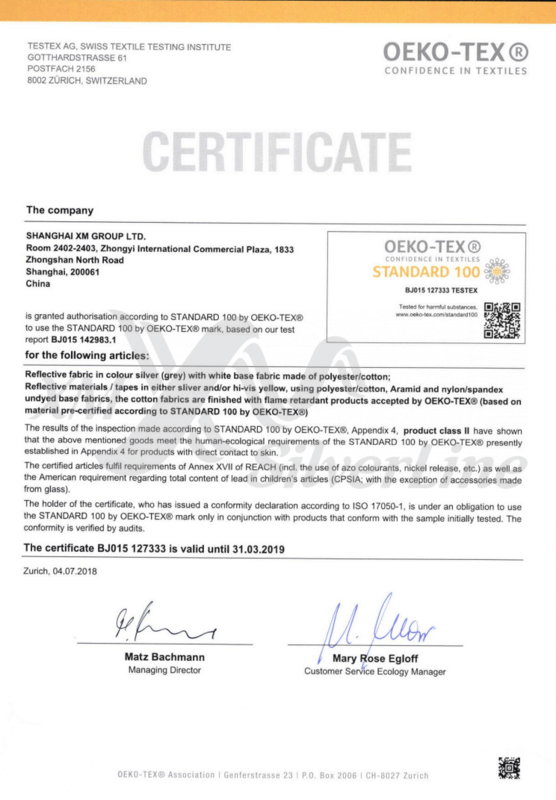 The results of the inspections made according to STANDARD 100 by OEKO-TEX, Appendix 4, product class II have shown that the above mentioned goods meet the human-ecological requirements of the STANDARD 100 by OECO-TEX presently establishment in Appendix 4 for products with direct contact to skin.